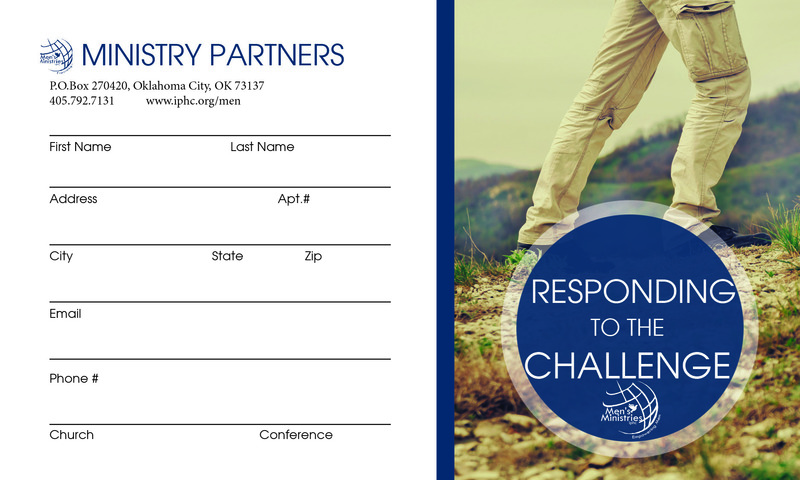 IPHC Men’s Ministries desires faithful and committed Ministry Partners for both prayer and financial support. Through the years, our partners have served a vital role in enabling Men’s Ministries to reach new levels and to provide resources that are crucial for reaching men; resources such as discipleship curriculum, conferences, seminars and leadership training. To contribute financially, you can either donate online or download the partner card below! Provide the requested information and mail to the office of Men’s Ministries. Thank you! You can also fax your response to (405) 789-3957. Thank you for your desire to see the lives of men impacted for the Kingdom.